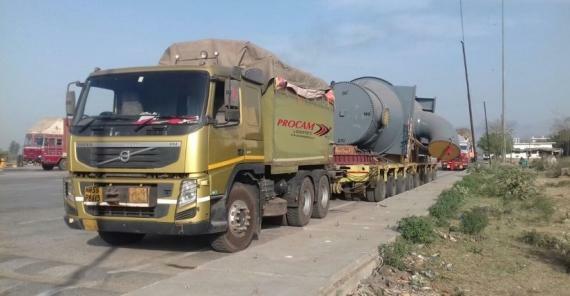 Members in India, Procam Logistics recently undertook an interesting and challenging job to move a consignment for one of their oil and gas clients across the breadth of the large country from Ahmedabad in Western India to Haldia in Eastern India. The cargo was a single piece pressure vessel with dimensions of 32 x 18.1 x 11ft and weighing 66mtns. The execution of the Job meant negotiating an arduous journey of around 2,100km (1,300mi), across four states, crossing 32 toll gates and passing through hundreds of villages in a safe manner with utmost concern for the cargo and the environment. Procam's Engineering and Logistics teams conducted a detailed route survey to ensure all aspects of HSEQ were met and delivery was made as per their commitment. Sanjna Vardhan (Manager) comments; "The job also involved assessments of the on-route risks, obtaining timely statutory clearances to remain fully compliant with the law, and the removal and repositioning of some structures along the route. 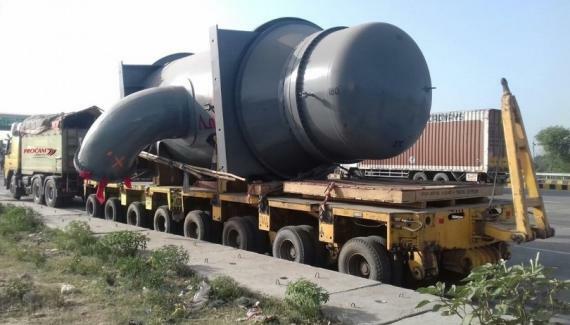 The cargo was escorted by fully trained teams who have undertaken several such projects in the past." Given the detailed planning and careful execution of the job, the cargo was delivered to the full satisfaction of Procam's client in line with the commitments made.